Peter Reid‘s series of Neo-Classic Space vehicles evoke simultaneous feelings of awe, jealousy, and nostalgia. 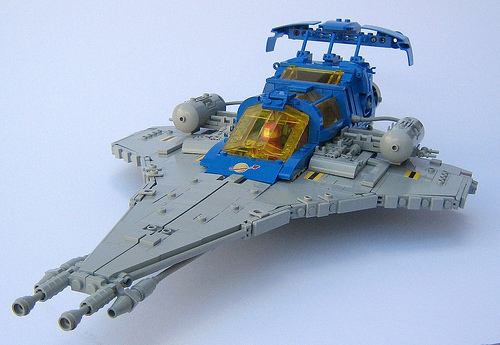 Pete’s use of modern bricks and current building techniques, applied to the shapes and colors of LEGO from the Classic Space era, results in creations that combine the best of both worlds. Oh hell yes. Lego needs to issue these as official sets NOW.